Want to avoid visiting tourist congested hill towns like Darjeeling? 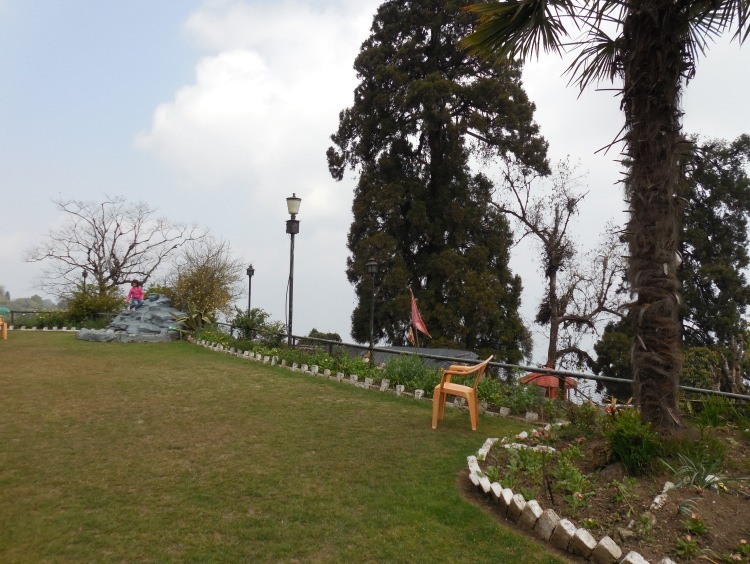 But still like to enjoy the lovely mountains & scenic views, the tea gardens, blooming orchids, the walking trails through the coniferous forests on mountain slopes? Then Takdah can be a perfect answer. Not many know about this small hamlet, a treasure secret, because it's yet to develop as a full fledged tourism place. 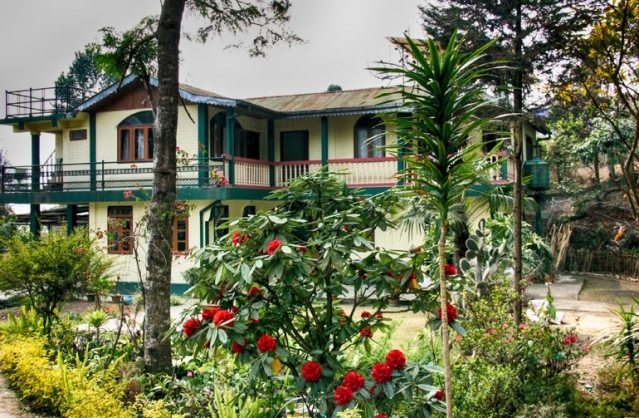 Takdah is located at an altitude of about 4,000 ft and close to Darjeeling (about 28kms away), yet far enough to be isolated, quiet and serene. 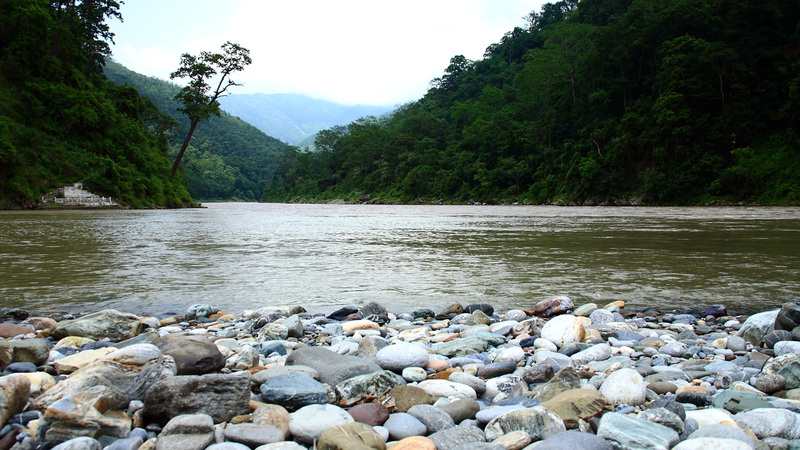 Although the altitude is much lower than Darjeeling town, the place is cooler compared to its surrounding area. October to March is the best time to visit Takdah and the nearby areas. This is the time the sky remains clear and you can enjoy the chill of the winter. 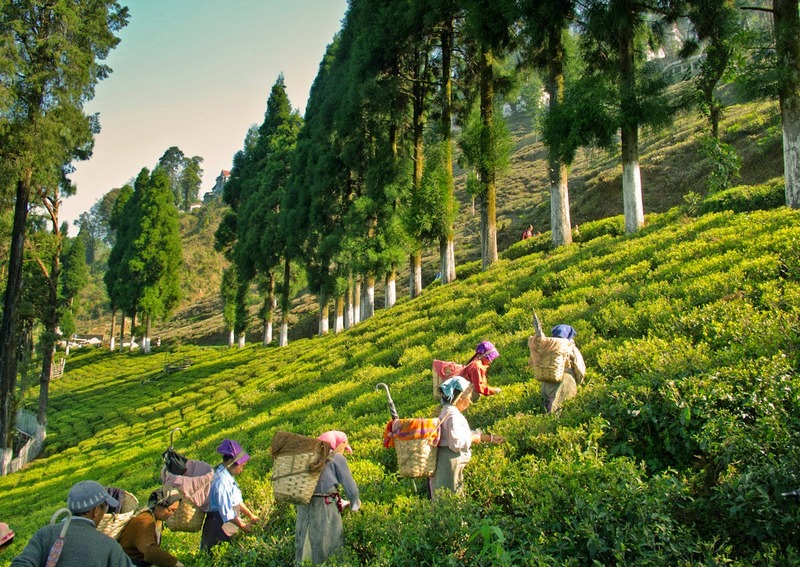 Some of the finest tea gardens of Darjeeling district are located in Takdah. You can walk down or take a local taxi tour to some of them and enjoy the tea gardens on rolling hills. The main tea estates in Takdah are Rungli Rungliot, Gielle, Namring, Jinglam, Poomong, and Teesta Valley estate. You can also visit the estate factories and watch the tea processing (in winters the factories usually remain closed). has a great Orchid Center spread across vast stretch of area. It's about half a kilometer from the market area towards 6th mile. Here you can see many different kinds of unusual and colorful Himalayan Orchids being cultivated and grown. 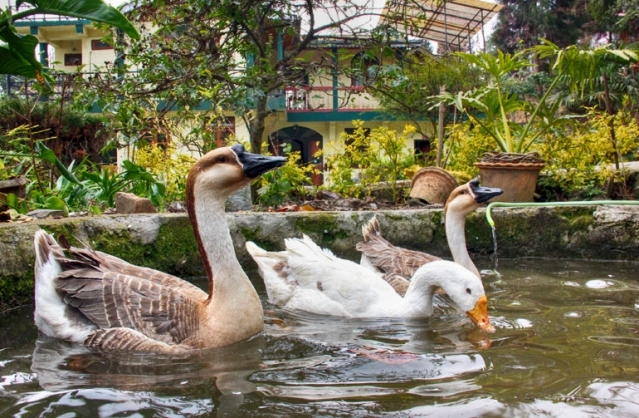 Many tourists come to Takdah particularly to visit the Orchid Center. The Orchid Center which was one of the best in Asia, was neglected for a long time. But now the state government has taken a fresh initiative to revive the center. There is a small monastery in Takdah whose actual name is Dechhen Pema Tshoiling Monastery, but locally known as Takdah Monastery. A steep uphill boulder road after the market area leads to a steep stairway. You will need to climb several flights of stairs to reach up to the Monastery. But once there, the views are awesome. From here you can get sweeping view of Rungli Rungliot Tea Gardens, Teesta Valley Tea Estate and Durpin Dara View Point, Kalimpong etc. I had taken the first picture of Rungli Runliot Tea Garden on this page from the monastery premises. You can take a nature walk through pine and cedar forests, or through villages. The thickly wooded coniferous forests here are maintained by the Forest Department. You can take a shorter trek path through the forest up to Lamahatta, enjoy the views of Kanchenjunga and return via Tinchuley. The entire trek takes about 4-5 hours. Dokan Dara is a local haat (i.e. bazaar) that sets up weekly on Thursdays. If you visit Takdah on a Thursday, don't miss this out. You will see villagers coming from nearby places to pick up vegetables and other essentials. It's a great way to get a glimpse at the local life and culture.